The Beka Sheer Rib Jersey Top is a lightweight separate ideal for the warmer months. The loose-fitting jersey top has a subtle sheer stripe running throughout, with relaxed cropped sleeves and a high neck. Soft jersey makes for a comfortable, easy top. 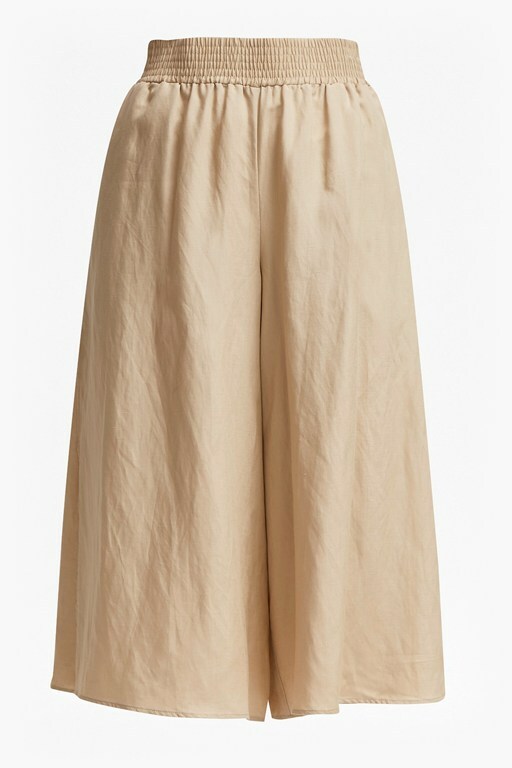 Tuck into flared culottes for a sophisticated off-duty outfit.